Comedy Central announced when the final season of “Broad City” will premiere on Thursday. That date is Jan. 24, 2019. The network also released a trailer for the upcoming final season, which you can see above. “Broad City” will be followed by the premiere of new series, “The Other Two,” which is from former “Saturday Night Live” head writers Chris Kelly and Sarah Schneider, with Lorne Michaels as an executive producer. Platinum Status: Set in the hipster-heavy east side of Los Angeles, Platinum Status tells the story of professional backup singer Noah (Eliot Glazer), a gay guy who’s always felt left out of the “community.” And after he’s dumped by his boyfriend of ten years, Noah rebounds in the least likely way: by hooking up with a girl. With help from his friends Kevin and Mimi and guidance from his kinda-sorta-girlfriend Alexa, Noah tries to evolve both in the bedroom and the recording studio. Eliot Glazer will write and executive produce and Ilana Glazer will also executive produce along with Principato Young’s Peter Principato and Brian Steinberg and Electric Avenue’s Will Arnett and Marc Forman. Young Professionals: At age twenty-four, David Litt became one of the youngest White House speechwriters in history. Described as the “comic muse for the president,” Litt served as the lead writer for many of President Obama’s most memorable comedic moments, and his recent memoir, Thanks, Obama, is a New York Times bestseller. Inspired by Litt’s coming-of-age in our nation’s capital, Young Professionals follows five housemates growing up – personally, politically, and professionally – in the hopelessly absurd world of Washington, D.C. Young Professionals is written by and executive produced by Litt, with Abbi Jacobson and Ilana Glazer also serving as executive producers. 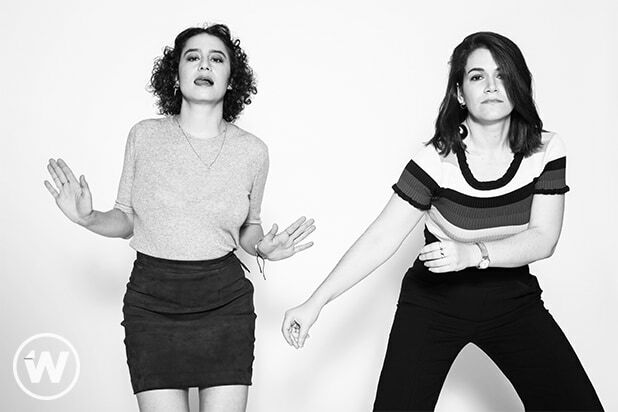 Ilana Glazer and Abbi Jacobson, "Broad City"
Abbi Jacobson and Ilana Glazer, "Broad City"